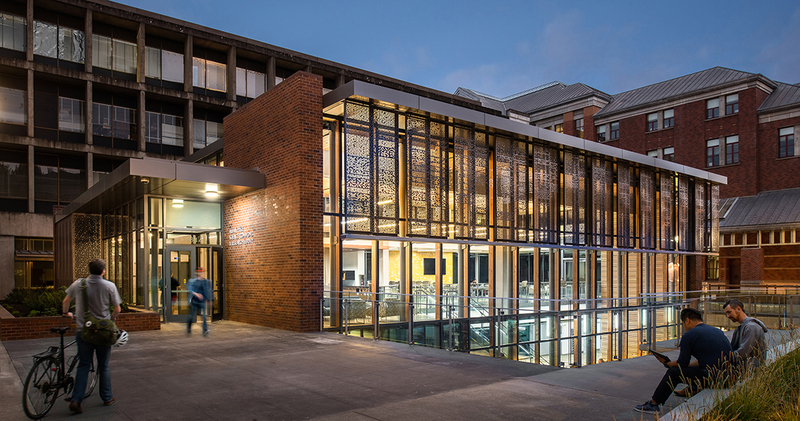 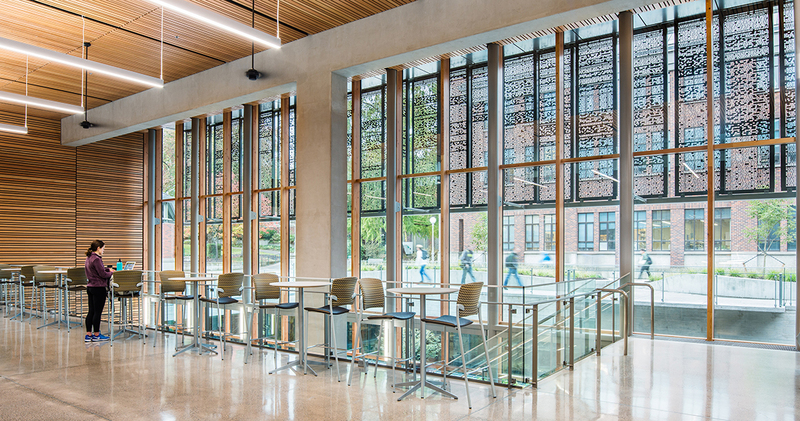 The Price Science Commons (PSC) and Research Library creates an inviting identity for the Lokey Science Complex as a glass enclosed pavilion containing a social commons café and event space overlooking and connecting to the subterranean research library and landscaped courtyard. 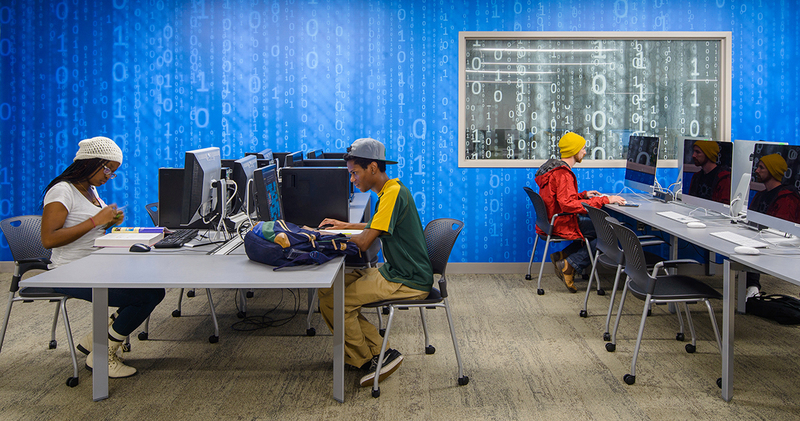 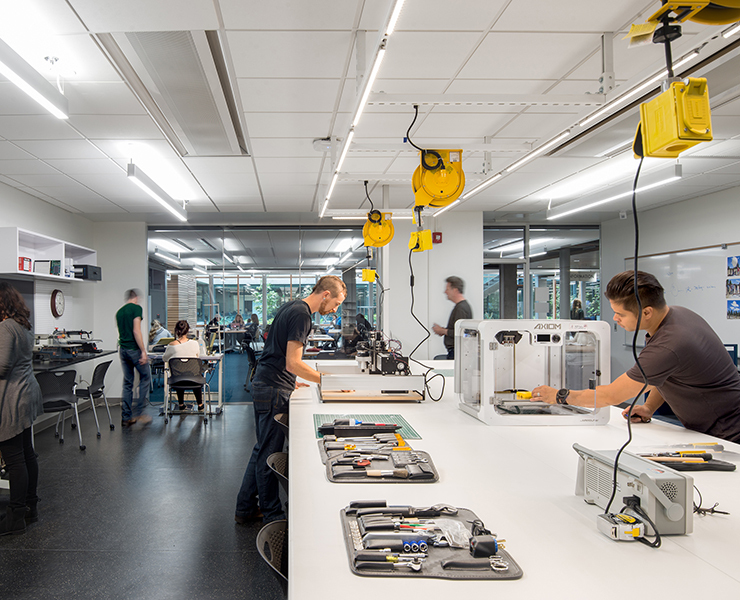 The PSC is a hub of student activity with a technologically robust, dynamic learning environment for learning and discovery that reflects a 21st Century paradigm. 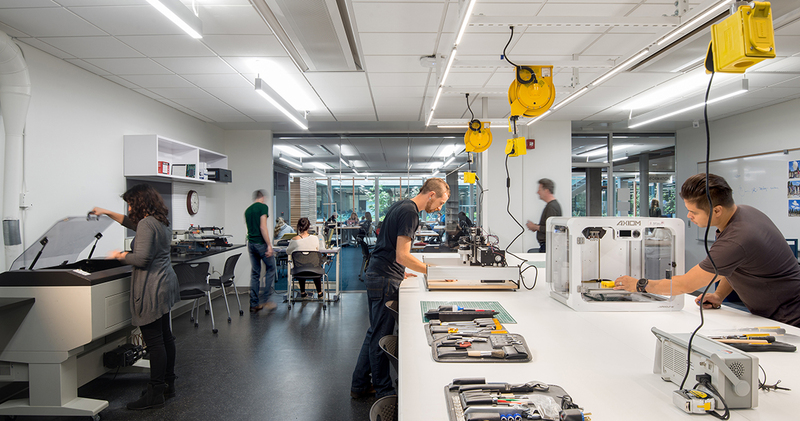 The student-centered design promotes experimentation, collaboration and investigation. 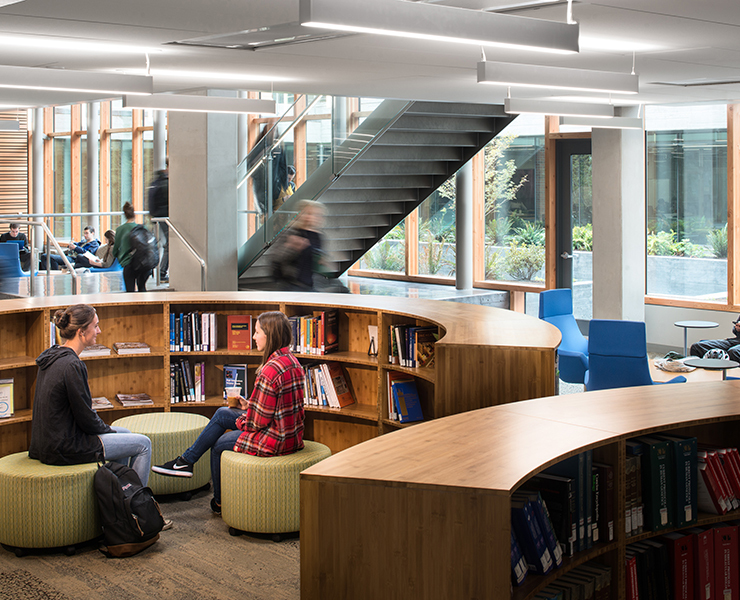 Spatial flexibility, with classrooms that reconfigure into study groups and informal learning arrangements, extends opportunities for collaboration across diverse user groups. 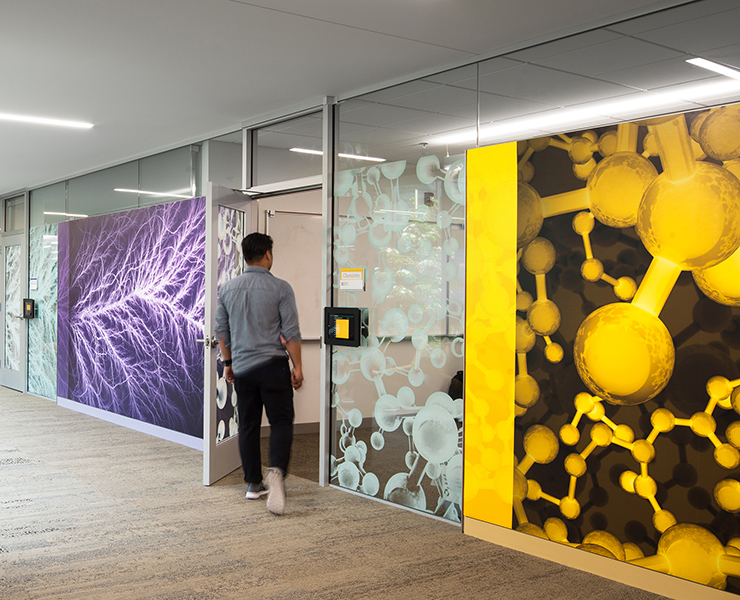 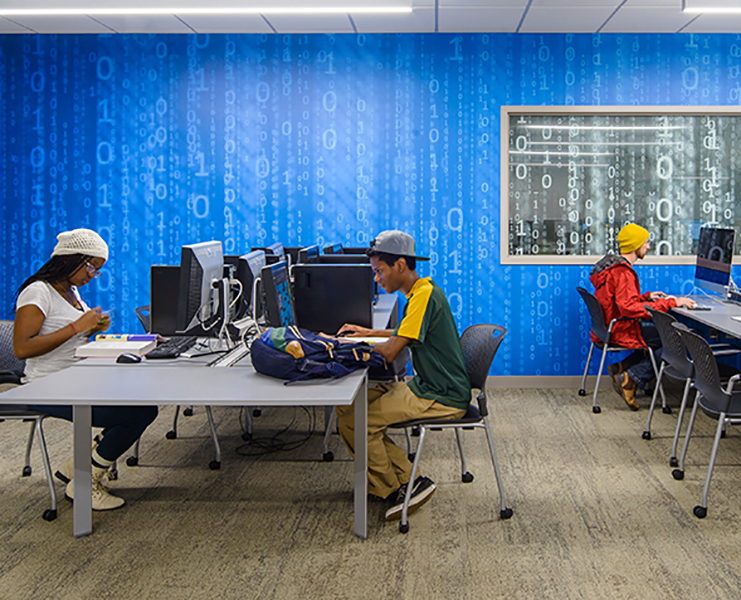 Science-specific group study rooms support collaboration, tutoring and hands-on learning. 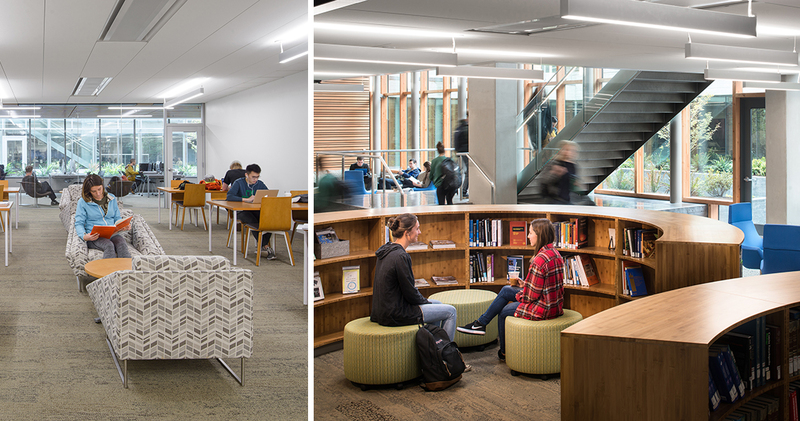 The commons contain glass-enclosed, quiet spaces for individual study and open social spaces, including a café and event space. 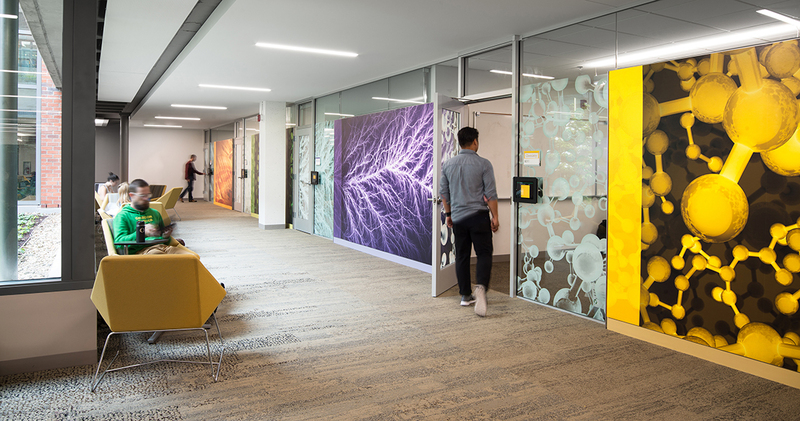 The facility also includes additional discipline-specific rooms with resources to support discovery and hands on learning, modeled after the current anatomy resource room. 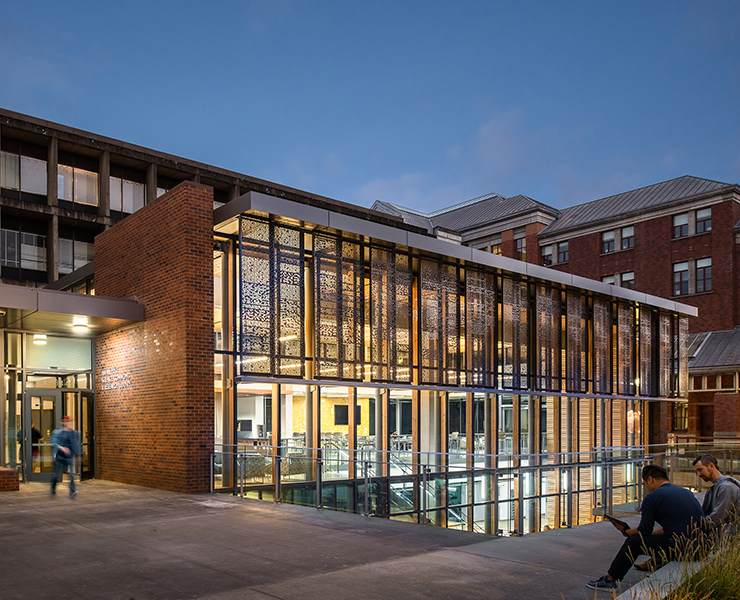 The tight positioning of the Science Commons, though central to the campus core, presented unique challenges and spatial constraints for the design ahead. 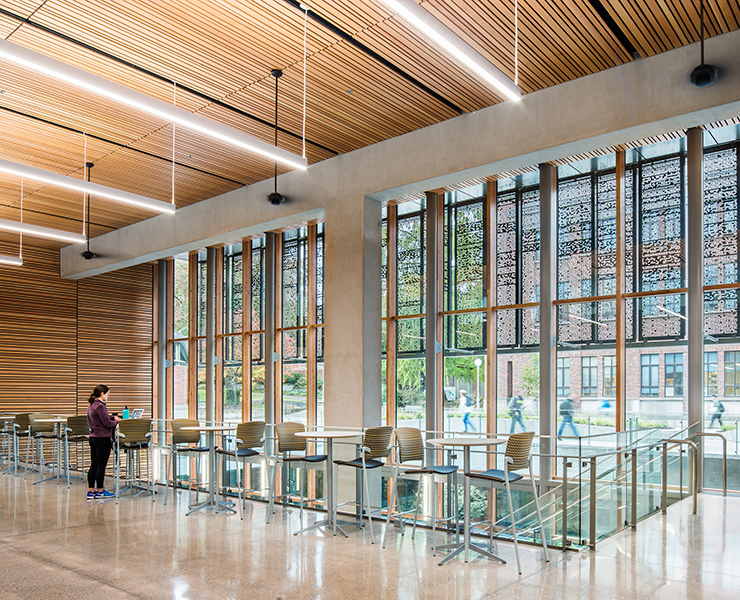 A digital technology lab and new teleconferencing services support distance instruction and to enable better researcher connections with the global scholarly community.